NFE was retained by the City of Detroit Economic Development Corporation (DEGC) to prepare survey documents to facilitate the purchase and land transfer associated with the construction of the Gordie Howe International Bridge project within the City of Detroit. 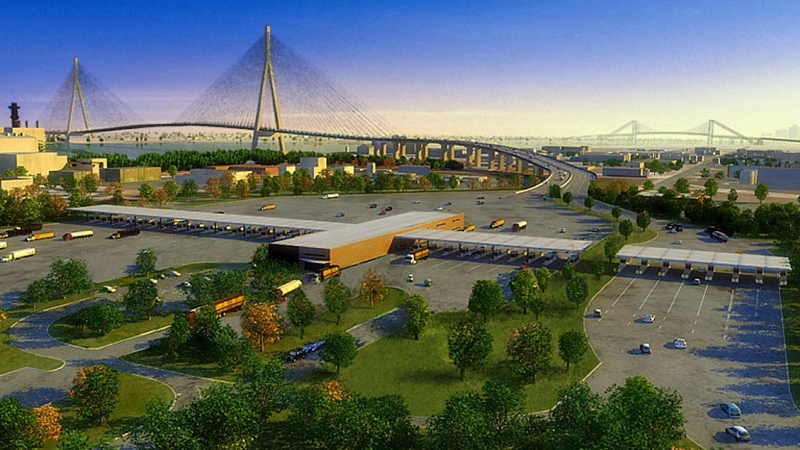 The Gordie Howe International Bridge is a planned bridge and border crossing to be constructed across the Detroit River. The crossing, as proposed, will connect Detroit and Windsor by linking I-75 and I-94 in Michigan with the new extension of Highway 401 (called the Rt. Hon. Herb Gray Parkway) in Ontario. This route will provide uninterrupted traffic flow, as opposed to the current configuration with the nearby Ambassador Bridge, which connects to city streets on the Canadian side. The bridge is named after Canadian ice hockey player Gordie Howe, who was best known for his tenure with the Detroit Red Wings. NFE’s surveying services is accommodating land acquisition within the city’s Springwells Industrial Subdivision. Services include preparation of ALTA/NSPS Land Title Surveys, ACT 132 Surveys, and Amended Plats for the new property configurations. Additionally, NFE is providing surveying services in support of geotechnical investigations for property acquisitions.